Excerpt from AsAmNews.com. Read the rest of the article here. Faced with the perception of bias in its voting process, The Recording Academy™ is creating a task force to examine issues of inclusion and diversity within the Academy, the broader music community and the Academy’s premiere event, the Grammys. 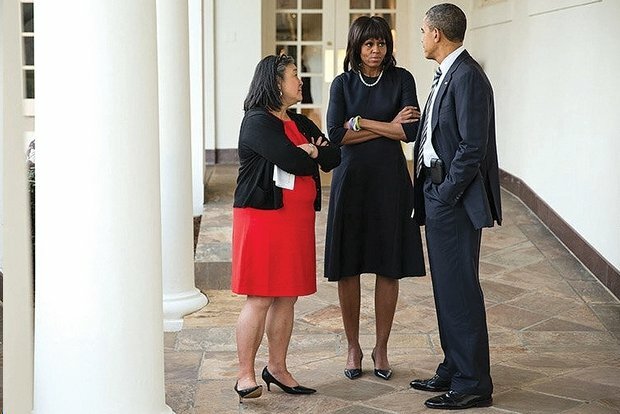 Leading that task force will be Tina Tchen, chief of staff to former first lady Michelle Obama, who’s gaining the reputation as the go-to lawyer for the entertainment industry when it comes to issues of equality and diversity. “The music industry faces numerous challenges—from combatting long-held biases to making sure women are represented and respected within the community,” said Tchen. This year’s Grammy Awards was a prime example that something was amiss with the awards. Of the eight awards presented during the telecast, only one – Best New Artist – was given to a woman, Alessia Cara; the full list of 84 categories, which included solo artists and bands, songwriting committees and liner-notes scribes, women didn’t fare much better, percentage-wise. Last month’s awards show was not an aberration, as Monáe pointed out in a Tweet over the weekend, why have only 9.3 percent of the Grammy nominees in the past five years been women? With a record of advocacy on behalf of women and girls, Ms. Tchen currently heads the Chicago office of the Buckley Sandler LLP law firm, where she is a partner and leader in advising companies on gender inequity, sexual harassment, and lack of diversity. Most recently, she played an integral role in spearheading the formation of the Time’s Up Legal Defense Fund, which provides legal support to victims of sexual harassment, assault, and abuse in the workplace.